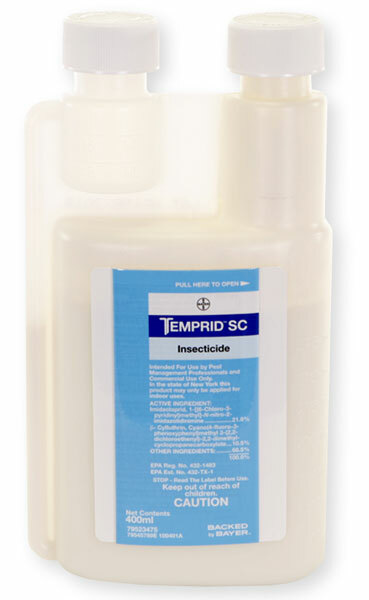 With Temprid for bed bugs: should it be sprayed more than once because of eggs that can hatch? Yes. It needs to be applied every 2 weeks for at least 3 applications. I normally recommend to rotate chemicals on each of these applications and use something different so that the Bed Bugs don't build any resistance to it. The normal treatment by most pest companies is 3 treatments (minimum) schedule 2 weeks apart until all signs of infestation are gone. All Bed Bugs need to be vacuumed up after each treatment. If you find dead Bed Bugs after that, you then know that they are still there but are dying. Continue this vacuuming after each treatment until you can find no signs of dead or live Bed Bugs at all.